Hope's Cafe: Those Unneeded Gift Cards-What To Do? It seems to be a pretty common problem after the holidays. You receive a number of gift cards from friends and family, and while some of them are great-like a card to your favorite restaurant-many times you end up with some cards that you just won't use. Perhaps your great-aunt sent you a card to Bass Pro Shops, and you just don't ever shop there (wouldn't be a problem for me, but hey...not everyone loves Bass Pro). Or maybe a coworker gave you a gift card for a restaurant that you don't like. Whatever the case, you end up with basically useless gift cards in your wallet! However, don't just throw those away or leave them piled on your desk. There's now an option-GiftCardRescue.com! Selling your cards looks easy! 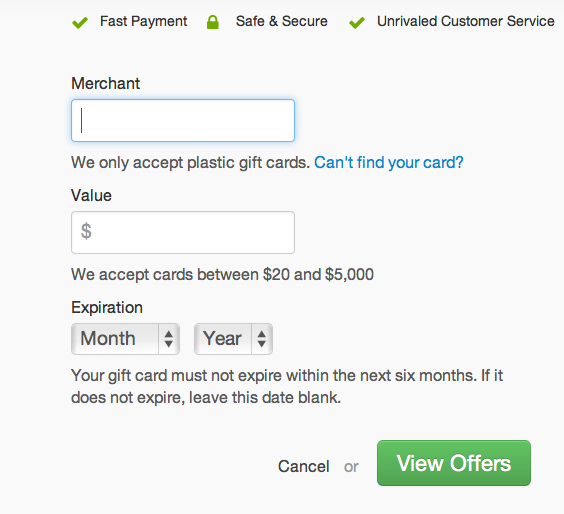 GiftCardRescue.com offers people the chance to sell their unneeded gift cards for cash. 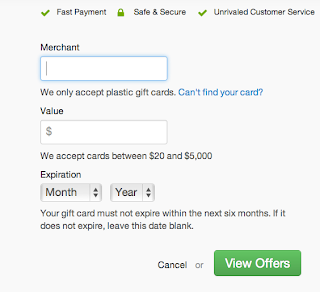 If you choose to sell a gift card on GiftCardRescue, you will receive up to 92% cash back of the value of the card! Definitely a much better option than just letting those cards sit around and take up room in your wallet! Or, if you're on the opposite end of the spectrum, and are looking to buy gift cards-GiftCardRescue has a wide variety of discounted gift cards to choose from. These all include FREE shipping, and have an average discount of 35% off the card's value! This is certainly where I will be looking to buy discounted gift cards for family and friends from now on! Check it out-right now you can purchase a $120.00 Hobby Lobby gift card (who doesn't love Hobby Lobby?!) for only $108.00! Or you can get a $25.00 Barnes and Noble gift card (perfect for the readers in your family) for only $21.25. Whatever store or restaurant you're looking for, you can probably find gift cards on GiftCardRescue.com! You can find GiftCardRescue on Facebook, or follow GiftCardRescue on Twitter to stay updated on any news and announcements. Also check out GiftCardRescue on Pinterest for some fun ideas! Disclaimer: I did receive a gift card in exchange for this review. All thoughts and opinions are mine. I was not required to post favorably about the company. I never heard of GiftCardRescue.com, but I do think it is a super idea to try. I usually use up my cards, but this is good to remember.